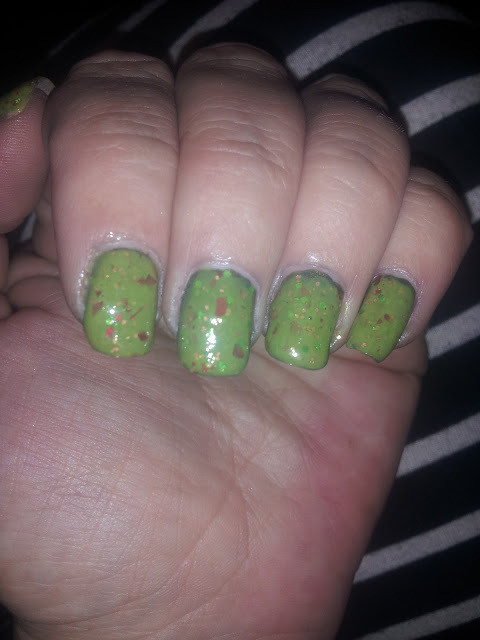 Happy Hands Nail Polish recently had Z is for Zombies in stock and I had to have some. :) I love, love it. 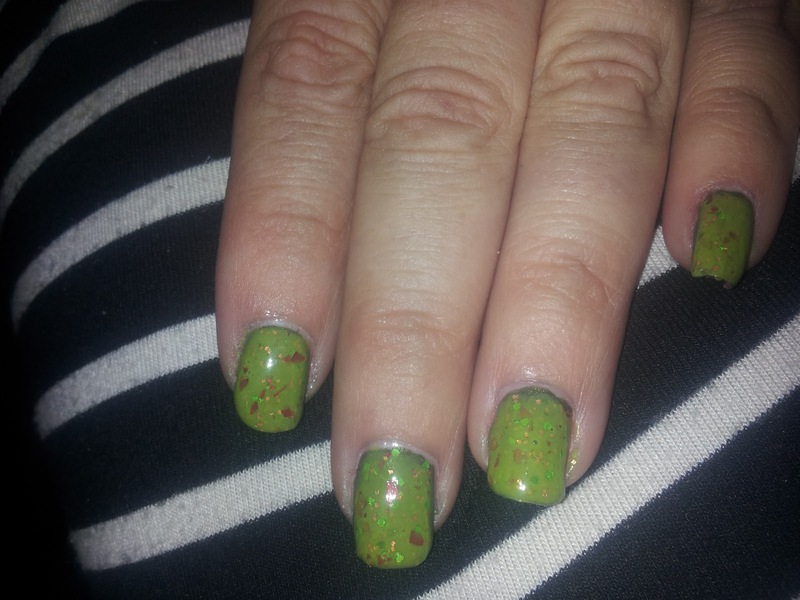 I have 2 coats of it here layered over 1 coat of Zoya Yara.